Members at a recent BBCA meeting discussed concerns surrounding businesses have for the impact on traffic patterns the New Horizon Mall will have for the area. The New Horizon Mall is a $200 million mall, that will be comprised of at least 500 stores, a banquet hall, a traditional Chinese stage and food court. 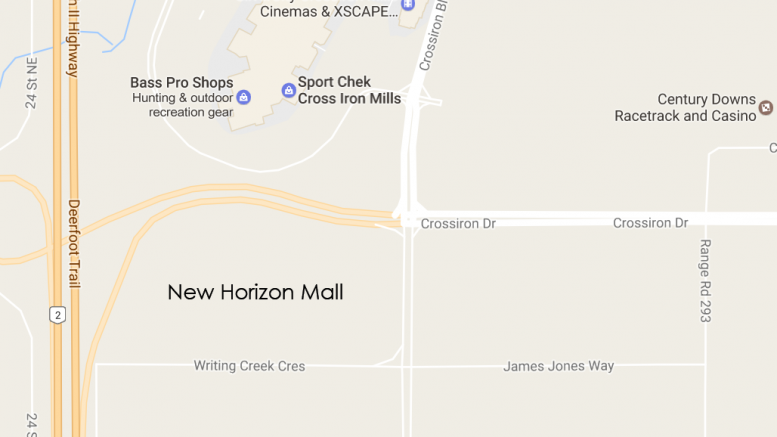 The New Horizon Mall’s website, “(…) the malls visionary retail experience, proven in major markets throughout the world, offers exotic colourful allure of traditional upscale Asian retail stores set in the comfort and beauty of a sublime, contemporary upscale architectural masterpiece.” James Moller, of CrossIron Mills, expressed concerns regarding potential congestion along CrossIron Drive and at the intersection of CrossIron Boulevard and Cross Iron Drive, where motorists visiting both malls will enter the area off Deerfoot Trail. James plans to request copies of the New Horizon Mall’s traffic mitigation plans for the area for review from Rocky View County. Once received, you will be able to view them here.